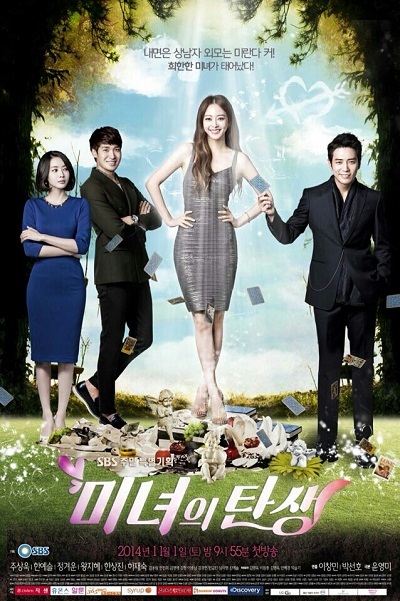 A romantic comedy about the revenge, love, and success of beautiful woman with the personality of an ajumma. It will tell the story of a woman who is transformed after plastic surgery and diets, and the man, who made her that way. Happy New Year! I haven't updated in a couple of months, but I'm back!! I tend to not watch drama currently airing because you have to endure the pain of waiting for the next episodes to come out. However, for a drama addict like myself, I went ahead and watched the first episode and the addiction began. I love these plastic surgery type dramas because it seems all about the looks and beauty at first and you're pleasantly surprised how they can turn this into a "love yourself and solve world hunger (aka love yourself and achieve great things)" message. I don't remember too much that happened in the beginning of this drama mostly because Sa Geum Ran led a really sad life. Nobody appreciated her and even after she "died", nobody felt anything for her. When Sara was "born", her world changed so much as a beautiful person. It's true that outer beauty can do a lot for you, but in the end, inner beauty is what got Sara to her happy ending. I love that this is the message that the drama sends. OKAY couple of things. Sara, aka Han Ye Seul is SO. PRETTY. And Tae Hee, aka Joo Sang Wook is SO. HANDSOME. I really loved this team a lot. It's got a great storyline AND great beauty inspiration and eye candy. PS, Tae Hee's dramatic laugh gives me life. I also wanted to talk about Han Min Hyuk and his evil mother, but they really piss me off. So I'm just not even going to go there. One thing that frustrated me was when Sara broke up with Tae Hee. It started spiralling downwards when Kang Joon realized Sara was Geum Ran. I was like HELLO tell Tae Hee about this! 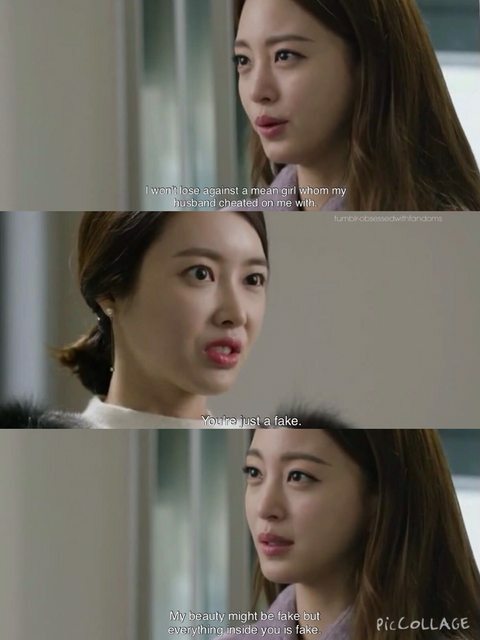 And then she didn't and of course, she was forced to separate from Tae Hee by his Grandma who was manipulated by Chae Yun. Then Han Min Hyuk came into the picture and omo, I was like can this drama end now? Can we get to the good part? Y'all are breaking my heart here. On the DL, Min Hyuk (Hang Sang Jin) is pretty boss. It's probably the suit. And that ending? If you're a drama addict like myself, often times a drama is so good that you forget about the ending. I mean, we think about it and we EXPECT it will answer every single one of our questions. Sometimes... No, most of the time, they goddamn rush the ending and you're like... SERIOUSLY BRO? But I am so happy to say that the ending really wrapped everything up. I have closure. I don't have questions. Just wishes for the bad guys to receive a bigger consequence but that's just me being evil.